School field trips are great for students, but usually bring a great amount of stress to the teachers. When considering a one-day field trip, you must plan for it to be meaningful and include a learning activity. That’s where we come in! Alligator Alley is a fun learning adventure for students and teachers alike! After a guided tour along the boardwalk, your students will get to witness the alligator feedings. Want to feed them yourself? Grab some alligator chow and we’ll let you be the master! But don’t worry, we won’t just throw you to the alligators – we’ll be there to give instruction and supervise, of course. After you’ve finished your guided adventure and walking tour along the elevated boardwalk, come hang out in our air-conditioned alligator station, where you can hold a baby alligator – and maybe even take a selfie with them. Our expert staff members are always happy to chat with you and answer anything you ever wanted to know about alligators! 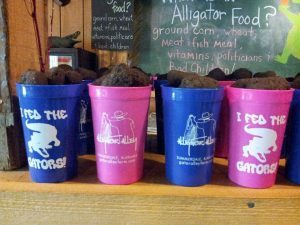 Once your students have enjoyed visiting with the alligators and other natural wildlife inhabitants, stop by our shaded picnic area for a brown bag lunch. This is the perfect opportunity to ask your students what their favorite part of the day was and continue education. Daily feedings at 11 a.m., 1 p.m. and 4 p.m.
Other natural wildlife inhabitants include turtles, ospreys, owls, bull frogs and more! 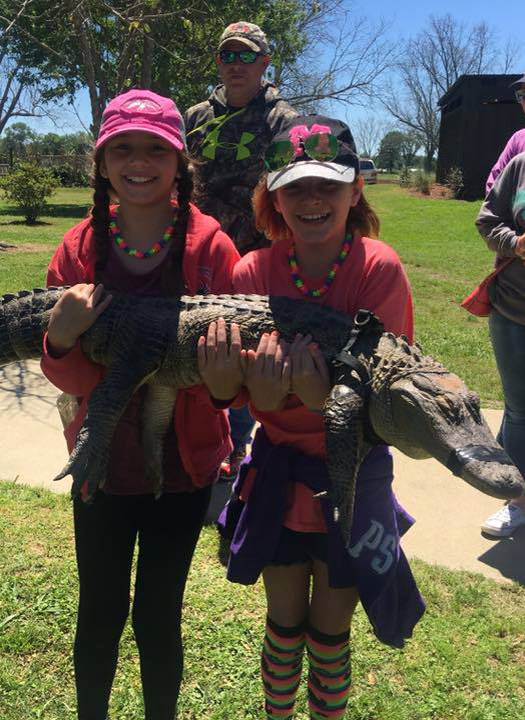 If you’re ready to book your field trip to Alligator Alley, give us a call at 251-946-2483,or email info@gatoralleyfarm.com. For pricing, visit our website. We can’t wait to have you and your class here at the farm!